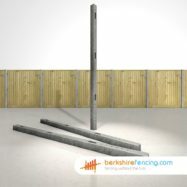 Buy Morticed (concrete) Intermediate Post-2.13m in Grey at Berkshire Fencing. 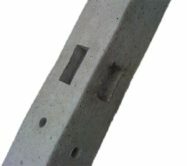 If you like quality, This Morticed (concrete) Intermediate Posts are right for you!. We have a highly experienced fencing team available, click here for your Morticed (concrete) Intermediate Post Installation Quote. 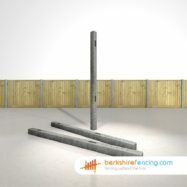 Grab Our Designer Morticed (concrete) Intermediate Post-2.13m now At Berkshire Fencing. 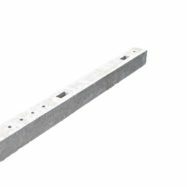 This Designer Morticed (concrete) Intermediate Post from our Closeboard Fencing range is suitable for use in a wide range of fencing projects. The inexpensive Morticed Posts we supply are quite straight forward to fit. But if you need any assistance during the installation process one of our experts is awaiting for your call..
Morticed (concrete) Intermediate Post-2.13m in Grey - Constructed in Concrete for our Closeboard Fencing range. 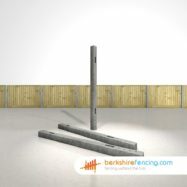 For Amazing Fence Supplies & Fencing Prices in Hungerford/Stratfield Mortimer or Bray Wick, Call us today at Berkshire Fencing. Our Closeboard Fencing or in particular our Morticed (concrete) Intermediate Posts will make you the envy of your neigbors, not only are they best on the market. They're twice as heavy and will last for years. Guaranteed. SKU:M(I- Gr-6347. Category: Concrete Morticed Intermediate Fence Posts. Tag: 2.13m. 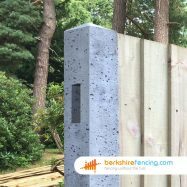 Morticed (concrete) Intermediate Post-2.13m in Grey – Constructed in Concrete for our Closeboard Fencing range. For Amazing Fence Supplies & Fencing Prices in Hungerford/Stratfield Mortimer or Bray Wick, Call us today at Berkshire Fencing.